​The planet Earth is made up of two-thirds water. The oceans are vast, and a large portion still remains unexplored. Because of the immense size of the oceans, it was thought that there could be no end to the fish supply. Eating fish is an excellent source of protein, and can be much less expensive than other types of meat, and it could be bought locally in many parts of Canada, so people thought they were doing a good thing by buying lots of fish. Methods of fishing were created to boost productivity, not taking into account the negative impacts. They destroyed habitats, and dwindled down fish populations. Canada is no exception, as it is home to the largest coastline in the world, making it a hotspot for all kinds of ocean life. The fishing industry brought in more fish than Canadians could eat, so they exported mass amounts, making billions of dollars annually. But now, scientists are reporting acidification of water, habitat loss and species under threat, so can Canadians truly be stewards of the ocean while continuing to fish? ​By the middle of the 20th century, globalization was in full force, and international trade was incredibly lucrative. Fishing technology had also advanced to the point where tons of fish could be caught in only one outing. This new technology meant that fishermen could catch more fish than the Canadian population would eat, leading to a huge amount of exporting. The Canadian government took advantage of the proximity to the oceans by permitting extensive fishing, with little to no regulations on the amount that could be caught. For most of the 20th century, the amount of fish being caught steadily increased due to developing technology, hitting the global peak in the 1990s. (Justian, “Can We Stop Over Fishing Before It’s Too Late?”). But immediately after this peak, the world started to feel the consequences of the overfishing. Smaller and smaller numbers of fish were coming up in fishers’ nets. Thanks to modern science, we are much more aware of the problems caused by overfishing, so we were able to alter our practices. But it takes a long time for fish populations to rebuild themselves after being fished to near extinction. This amount of recovery time depends on specific fish, their population, and mating habits. ​A species that is close to extinction can also affect many other species in the time that it takes to recover. For example, the Atlantic Bluefin Tuna has been overfished to the point of near extinction (“Bluefin Tuna). They are predators in their food chain, and removing them causes their prey species populations to boom. The species lower on the food chain tend to feed on plant life, and so an increase in population can lead to a decrease in plant life. This alters the diets of all organisms involved, some having to adapt, due to lack of food. Even the smallest change in the food chain can have serious repercussions for all other life involved in the chain. This means that it is important for all limits to be set on the amount of catch allowed for each species of fish, not just those that are currently endangered. Ocean scientists try to look at the effects role of each organism and its importance in the food chain, which helps them figure out exactly how many fish it is safe to catch. ​Theoretically, if legal restrictions were put on fishing all endangered species of fish, it wouldn’t fully protect them, and they would likely be caught accidentally as by-catch (species caught accidentally in the pursuit of other fish). They are simply thrown back into the ocean, but they often can’t survive after being removed from the water for so long. 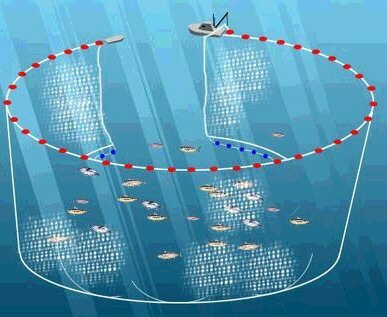 By-catch commonly occurs with fishing practices such as bottom trawling, which involves large nets being dragged along the ocean floor, collecting everything in their path. 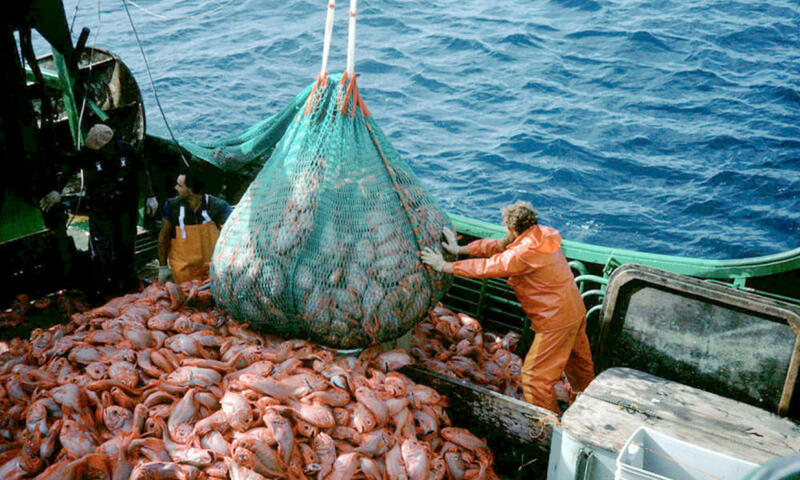 Bottom trawling was first invented because it made it easy to catch large amounts of fish without much effort. But now that so many fish species are threatened or endangered, it is not at all sustainable. It also can damage habitats, as it scrapes along the ocean floor. So even if fish escape the net, they may not survive, as their home had been destroyed. 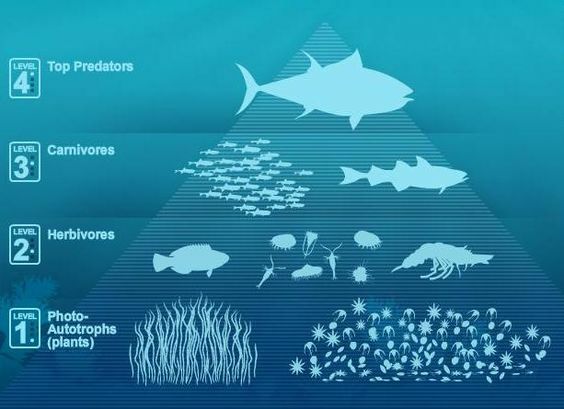 (Chandler, “Seafloor Destruction by Bottom Trawls”) Restricting the intentional fishing for endangered species cannot fully stop the species from being killed, because they are still vulnerable to habitat destruction and as by catch. ​In addition to quickly decreasing fish populations, scientists have also found that the oceans are 30 percent more acidic then they were 200 years ago. 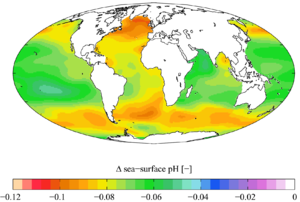 The ocean is naturally slightly acidic, but even tiny changes in pH can have catastrophic effects. The increased acidity is because carbon from the air is absorbed into the water, and it dissolves to form an acid. Carbon being dissolved all over the world’s oceans adds up to a large amount of excess acid. Initially, this was believed to be a positive thing, as it could reduce the amount of carbon in the air, which was good for air quality. But disheartening evidence has been discovered making it clear that ocean acidity is a major problem. The acidity of the water makes it more difficult for shelled creatures to form their shells, which is their main form of protection, so many of these organisms are dying. It can also stunt coral growth by corroding the skeletons. Finally, it throws off the internal pH of fish, causing them to put their body into a kind of panic mode to try and get back to it’s natural state. Being in this mode for a long time can seriously exhaust the fish, as it leaves less energy to digest food and avoid predators (Bennett, “Ocean Acidification”). 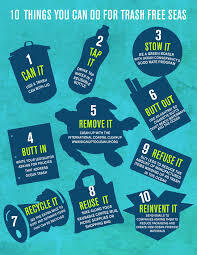 ​Even actions that are not directly linked to the ocean can be harmful. For example, global warming has increased not only the temperature of the air, but also of the oceans. Warm water takes up more space causing higher sea levels, which poses a threat to people who live near oceans (“Rising Sea Levels”). Additionally, warmer temperatures have been linked to more frequent, and intense storms, which can wreck havoc on human communities (“Sea Temperature Rise”). But humans are not the only group at risk, serious effects on the health of the ocean’s organisms have also been discovered. 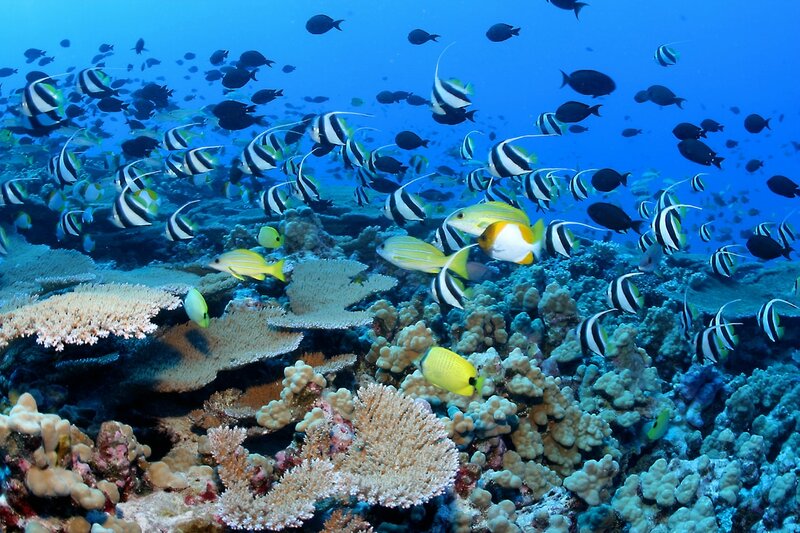 The increase in temperature puts stress on the coral reefs. The coral exists in a symbiotic relationship with the algae, the coral provides it with a place to grow, while eating enough of the algae to survive. But the stress to the coral causes the algae to leave, leading to coral bleaching. This not only harms the coral, but also all of the fish and other animal species living in it (“What is Coral Bleaching?”). ​These issues are prevalent in nations all around the world, including Canada, because of its huge natural resource-based industry. It is an incredibly rich country when it comes to natural resources, possessing oil, minerals, lumber, and large bodies of fresh water, so it builds a large part of its economy around these resources. Canada makes $6 billion a year in fish exports alone, and 76 000 jobs in Canada are directly or indirectly involved in the fishing industry (“Facts on Canadian Fisheries”). But other countries rely on fishing even more than we do. In 2013, it was found that over three billion people rely on fish as their protein source, accounting for around seventeen percent of their total protein intake (“Fish as Food”). In developing countries, 800 million people depend on the fishing industry to make a living (“Why is Sustainable Fishing Good For… Developing Countries”). So it is important that we ensure the fishing industry can continue to operate, not just for Canada’s sake, but also for the developing countries that need to fish so much more than we do. Scientists have predicted almost completely “dead” oceans within 35 years, so it is important that action is taken now. One of the best ways to ensure the health of the oceans without compromising the jobs of thousands of Canadians is to focus on improving sustainable fishing practices and technology. Canada is one of the largest, most powerful countries in the world, paving the way for the rest of the world with contributions such as peacekeeping. As clear leaders widely respected on the world stage, it is important to set a good example for other countries in terms of environmental policy. Canada has taken measures to protect the physical environment in the past, such as setting goals for carbon emission reduction, and now the same is being done for the ocean. The Canadian government employs scientists that examine specific species of fish. For example, with the Atlantic Halibut, they have taken into account that they don’t reach sexual maturity until they are approximately ten, and they live on the ocean floor, in the temperate and arctic temperatures of the Atlantic (“Atlantic Halibut Facts”). Conducting this research allows scientists to make informed recommendations about how many fish the industry should catch in a year. The government uses these recommendations to create plans that outline the limits on catches. But the research can only go so far, as it can’t be fully accurate due to the large scope of the oceans, so the scientists can only make predictions about how fish populations will respond to fishing. ​In addition to setting policies, scientists and fishers have been working on more sustainable ways to actually catch fish. For example, they have been using radar to more accurately assess the kinds of fish in the area, to minimize by catch. Once a school of fish have been located, large nets are lowered into the water. Like bottom trawling, these fish catch everything in the area, but they do not destroy habitats by scraping the ocean floor (“Purse Seine: Fishing Gear and Risks to Protected Species”). These methods account for the majority of fish being caught, but in developing countries, they still use the classic fishing rod, or spears to catch their fish, which is even more sustainable. But Canada is still far more advanced and financially stable than many developing countries, which do not necessarily have the technology or funds to produce new fishing practices to be used on a large scale. Canada could use its influence to help developing countries by conducting research and helping them form plans of their own. To ensure the plans are effective, Canada could monitor the effects of the plans to help the countries adjust their plans. This would not only aid the planet, but also the developing countries, because they wouldn’t deplete their fish populations, meaning they could continue to fish in the future. ​Back at home, Canada works tirelessly to ensure their own plans are effective, still working to protect the ocean even after implementing the regulations. Oceans Canada and individual fisheries spend close to $130 million on surveillance and monitoring of the oceans. They use both aerial and sea patrol vessels both to check on the health of areas of the oceans, and keep guard for illegal fishers. If illegal fishers are caught, they can have all their gear taken, and can be fined up to $100 000, which makes illegal fishing incredibly risky to partake in (“Fisheries Sustainability”). This helps reduce the amount of illegal fishing, and therefore protects the ocean life. ​In addition to supporting the government’s actions, there are a plethora of actions that can be taken on an individual level. Canadians can help the oceans by eating local, sustainably caught fish. They can support politicians who want to reduce carbon emissions and by monitoring their own carefully. Additionally, they can cut back on their use of plastic, such as micro beads in cosmetics, plastic grocery bags, and water bottles. Being a responsible consumer extends past plastic products, it is important to abstain from buying jewellery and décor that are made from coral, or shark teeth and to never buy any shark fin products. like shark fin soup, as these cause the unnecessary death of plants and animals. Finally, they can support charities and sign petitions to protect ocean habitats and species. 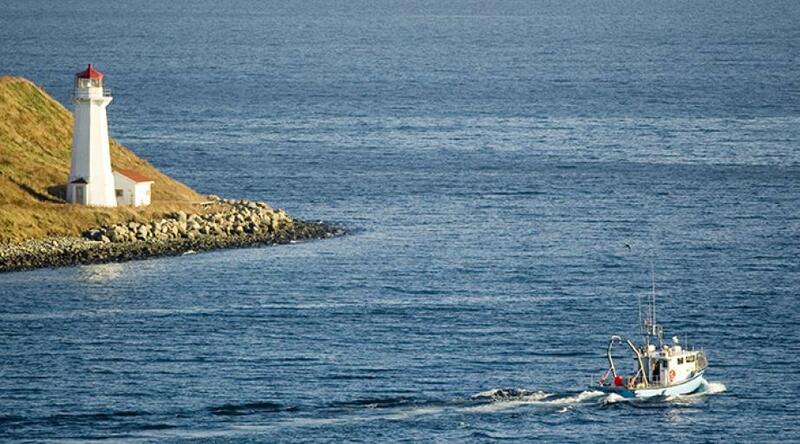 It is imperative that Canada continues to promote sustainable fishing practices. It is in our best interest to take care of our oceans not only ethically, but financially, given the large group of Canadians employed in this industry, and Canada makes billions from the exports of seafood. But as much as Canada does for the oceans, it is equally important that they help other countries do the same, for the oceans will continue to deteriorate as long as the planet is being polluted. The Earth is a closed system, so everything is linked to everything else. Canada is well respected around the world, and well positioned to influence to other nations to use sustainable fishing practices. "Atlantic halibut Facts. "Atlantic halibut Facts. N.p., n.d. Web. 24 Jan. 2017. "Bluefin Tuna."WWF. World Wildlife Fund, n.d. Web. 24 Jan. 2017. "Can We Stop Overfishing Before It's Too Late? "Triple Pundit: People, Planet, Profit. N.p., 15 Mar. 2015. Web. 24 Jan. 2017. "Destructive Fishing. "Marine Conservation Institute. N.p., n.d. Web. 24 Jan. 2017. Communications Branch. N.p., n.d. Web. 24 Jan. 2017. "Fish as food. "Fish as food --. N.p., n.d. Web. 24 Jan. 2017. "Ocean Acidification . "Ocean Portal. N.p., n.d. Web. 24 Jan. 2017. "Purse Seine: Fishing Gear and Risks to Protected Species. "NOAA Fisheries. N.p., n.d.
"Rising Sea Level."EPA. Environmental Protection Agency, n.d. Web. 24 Jan. 2017. Society, National Geographic. "Sea Temperature Rise -- Pristine Seas. "National Geographic. N.p., n.d. Web. 24 Jan. 2017. Atmospheric Administration. N.p., n.d. Web. 24 Jan. 2017. "Why is sustainable seafood good for… developing countries?" Fish Forward WWF. N.p., n.d. Web. 24 Jan. 2017.